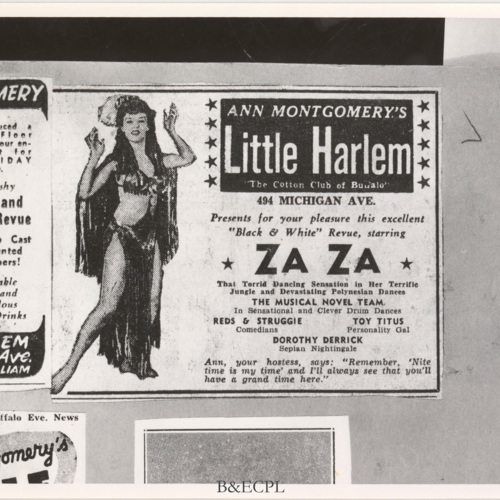 The Little Harlem Club/Hotel on Michigan Avenue in Buffalo was owned and operated by Ann Montgomery from the 1930s through early 1960s, during which time Count Basie, Louis Armstrong, Billie Holiday and others performed. 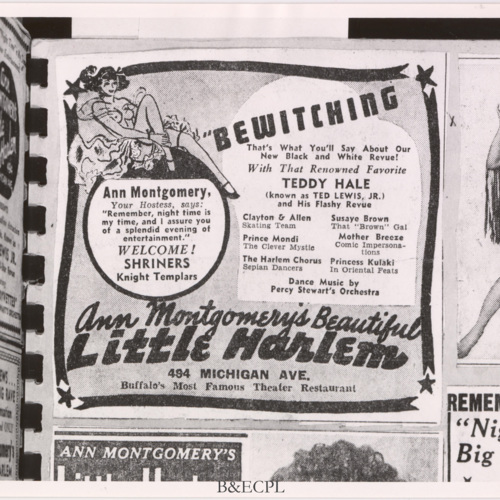 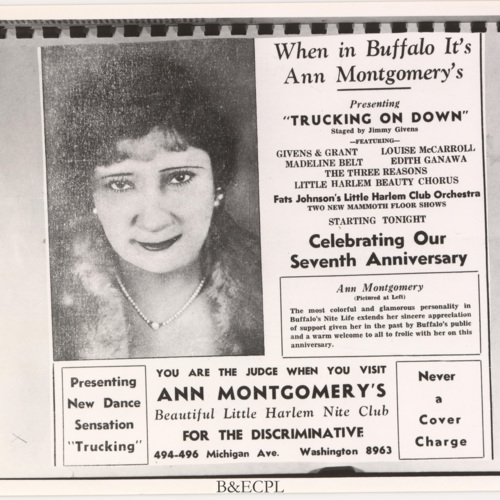 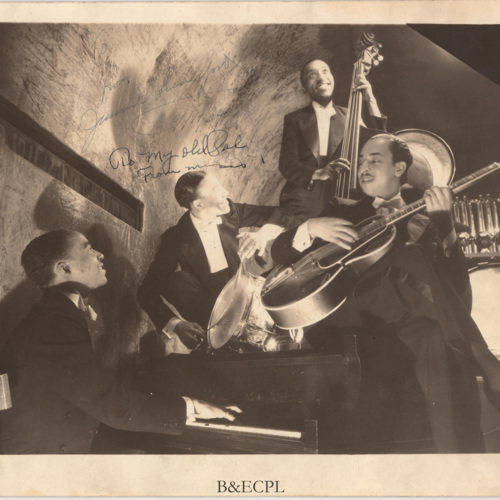 While this club coexisted with the Colored Musicians Club and other clubs like it in its time period, Ann Montgomery was the distinguishing factor. 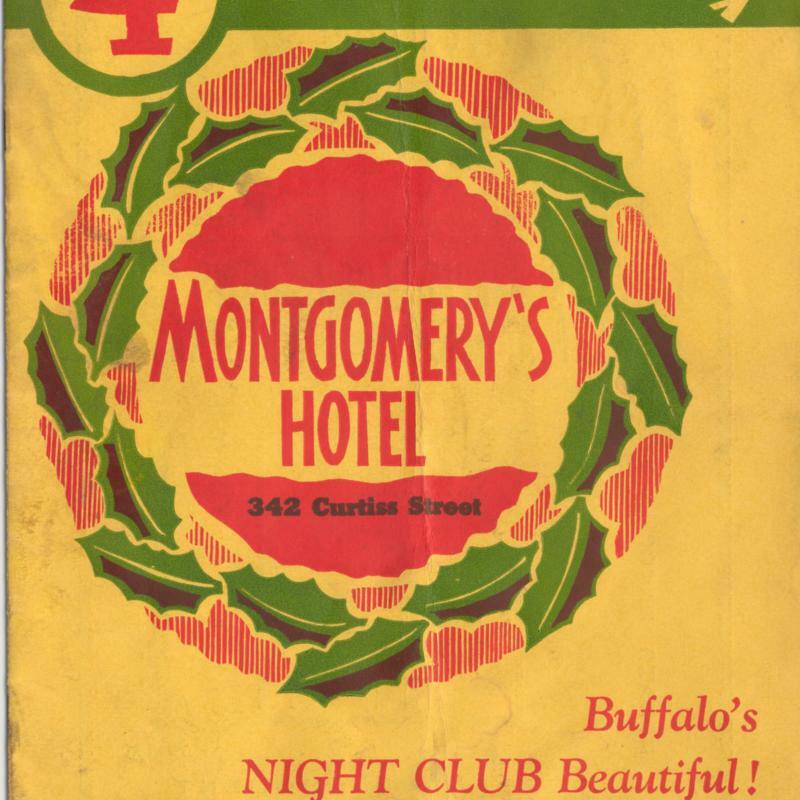 Montgomery’s style and business sense and the fact that she was an African-American businesswoman were the rare combination then that made her and the Little Harlem unique. 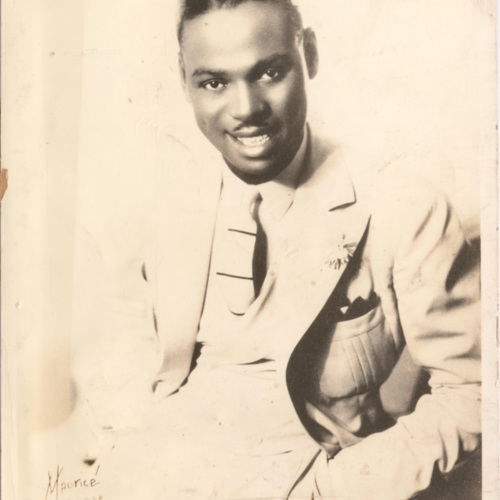 Headshot labeled "Earl Hines and His Orchestra." 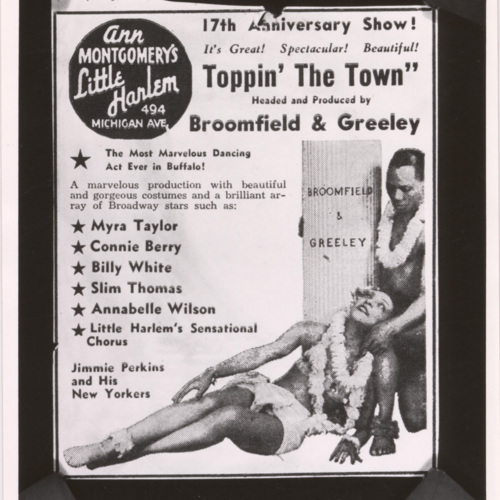 Corner labeled "Maurice Chicago"
Lena Bell Thomas (Check Room) and Bertha Glover (Cigarette Girl). 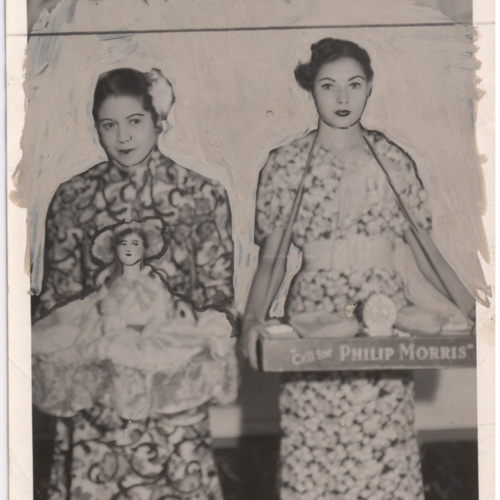 Two women, one holding Philip Morris tray, the other a doll. 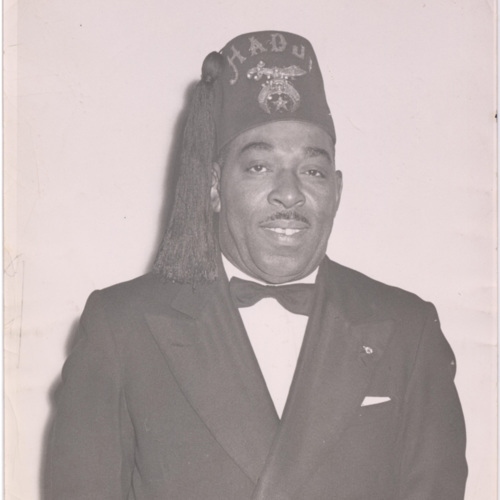 Image has been drawn on. 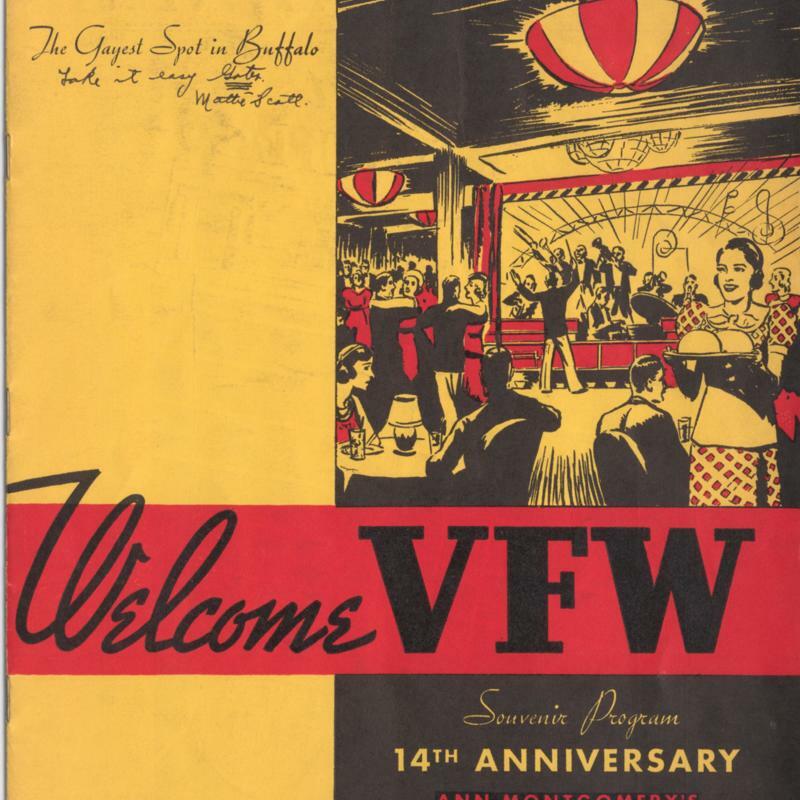 Published separately in the 14th Anniversary Program.